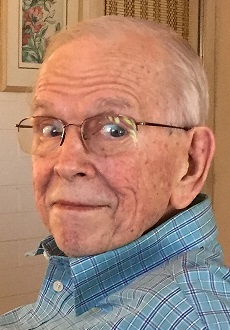 Jon Salhus, age 80, formerly of Sun City, AZ, passed away on April 13, 2018 in Westfield, WI. He was born in Canby, MN to parents Reuben Salhus and Blanche (Merritt) Salhus. Jon graduated from Canby High School in 1956, an accomplished athlete and thespian, receiving a football scholarship to attend Concordia College in Moorhead, MN. Jon married Mary Ann Rogne at the Little Brown Church in the Vale in Nashua, IA in 1959. They were together for over 58 years, until Mary Ann passed away in August 2017. At one time, Jon was known as the “Father of the Video Wall” for his work in the video display industry in the 80’s and 90’s. He sold video wall systems used by sports teams, shopping malls, concert venues and businesses all over the world. He had a love of fishing, especially walleye fishing on Otter Tail Lake. Not rain or even snow would stop him from getting out on the lake for the MN fishing opener. Jon leaves behind his five children: Kari Overby of Westfield, WI, Kirsten (Kevin) McKeever of Lakeville, MN, Jonathan Salhus of Glassport, PA, Stefani (Allan) Breidenbach of Centennial, CO, and Nathan (Carrie) Salhus of Rosemount, MN, his grandchildren Jake, Jenna, Matt, Caitlin, Shannon, Jackson, Nolan and Jonny, and great-grandchildren Madison and Zoey. He is also survived by his sister Ruth Ann Saad El-Dein of Marshall, MN, brother Rolf (Shirley) Salhus of Apple Valley, MN, step-brother Dave (Jane) Burns of Anoka, MN, and cousins, nieces and nephews. Jon was preceded in death by his parents, wife Mary Ann, two sisters in childhood, Karin and Joan, his brother Karl, and step-brothers Jim, Jerry and Bob Burns. We will love you always Dad, Boppy, Grandpa, Jonny. There will be a family gathering and memorial for Jon at a later date. Please take a moment to view the online guestbook. Send your condolences or share a memory of Jon with his family & friends.